Choosing a nursery in London can be a daunting prospect, particularly if you are doing this for the very first time. You might have very mixed emotions about leaving your child in the care of others to return to work, or just about helping your child to take that next step in their lives. As a first step ask your friends, family and neighbours for recommendations of local nurseries. 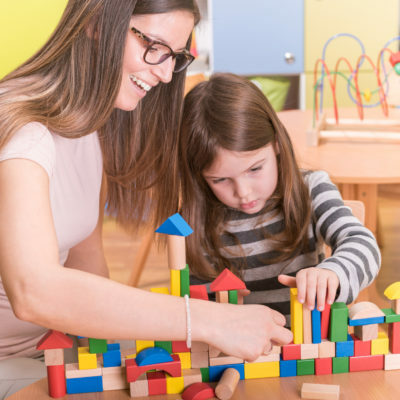 Check out these nurseries online by reading their Ofsted reports, which will give you a starting point as to how the quality of the nursery has been judged. It is also worth reading the comments from parents who have used the nursery on local on line forums or sites such as Mums Net. This is particularly helpful if you are new to the area or do not know other families with young children. Have a look at the nurseries website- you will already be building a picture of what the nursery might be like. Once you have selected the nurseries to visit call them and book visits to the nurseries of your choice. The responses you get on these initial telephone calls will add to the picture you are already building a sense of each nursery. You will be able to test out their efficiency, friendliness and responsiveness. What security arrangements are available at the nursery to keep your child safe? Were you met and greeted by the manager or deputy? Were the displays of children’s work appealing? Did the equipment look clean and in good order? Did the staff seem interested in the children in the nursery? Were they talking to them and engaging with them? Did the activities that the children were doing seem age appropriate, interesting and stimulating? Does the nursery have an outdoor play area and is it well equipped? Can the nursery provide for specific dietary requirements? Does the nursery employ any qualified teachers and what roles do they have? What percentage of the children get into the school of their choice when they leave the nursery? Did you come out of the nursery feeling confident enough to leave your child in the care of the nursery team? Did you come out of the nursery feeling that you could relate to and interact well with the Manager/Deputy on a daily basis? Were you invited back to the nursery for a stay and play? Do the nursery fees appear to represent value for money? Are the nursery fees inclusive of everything or do you need to provide/pay for any extras? I believe that you will know on that first visit if the nursery is right for your child, but if you are unsure ask to visit again at a different time of day. Once you are sure that the nursery is the right one for your child complete the registration process as quickly as you can. If it is popular nursery it will be oversubscribed with a wait list and the sooner your name is on the list, the better. Stay in monthly contact as places do become available. Be flexible as taking a less desirable time slot gets you in the door.